It was starting to getting quiet. Andrew and crew were gone. The dos Santos were packing up. They'd depart...once the girls got going! Brian was packing up. How nice. The girls gave us a gift! 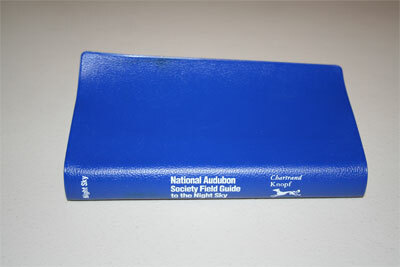 A copy of the National Audubon Society Field Guide to the Night Sky by Chartrand published by Knopf. Very nice charts. Good textual pages by constellation. It will make a wonderful addition to our collection. I thanked them while they thanked us.